Forget about Triple Crown, meet your 2017 CPBL batting Quadruple Crown winner 王柏融 (Wang Po-Jung). 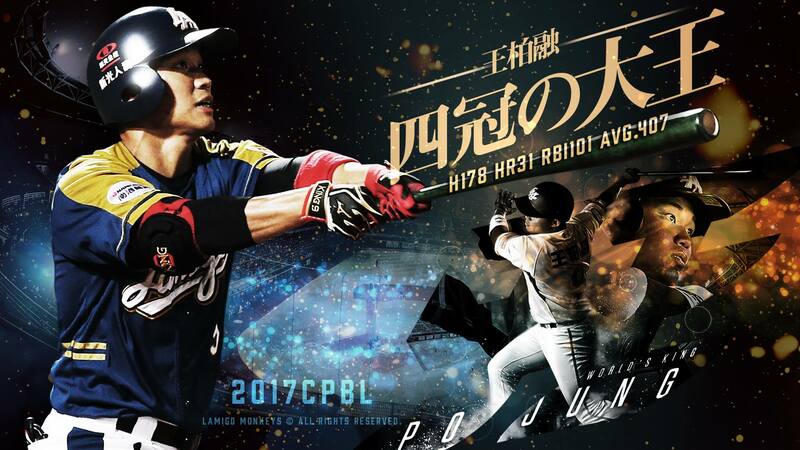 After winning the 2016 CPBL MVP as a rookie, the Lamigo Monkeys’ hard-hitting youngster has managed to find even more room to improve in the 2017 season. Wang finished the 2017 season dominating in pretty much every hitting categories. He posted a record of .407/.491/.700 with 101 RBI, 31 home runs and the league-leading 179 wRC+. As we mentioned above, Wang dominated all the hitting categories in the 2017 season. By winning the prestigious batting title, this made Wang the second Triple Crown/ Quadruple Crown winner in CPBL history.